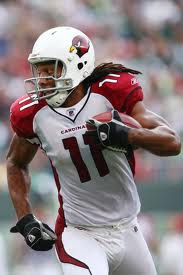 After acquiring Kevin Kolb the Cardinals are ready to go back to the playoffs. Kolb will definitely help but he came at a high price: the team had to give up star cornerback Dominique Rodgers-Cromartie. Kolb has one of the top wide receivers in the league in Larry Fitzgerald. The question is who will be the number two option. Early Doucet and many others will compete for the number two slot. Tight end Todd Heap was a smart move as he'll be somewhat of a security blanket for Kolb. Chris Wells is a power back that won't have to split carries with Tim Hightower anymore. The offensive line is led tackle Levi Brown and Duece Lutui. Defensive tackle Darnell Dockett isn't just the star on Arizona's defensive line he's one of the best tackles in the NFL. 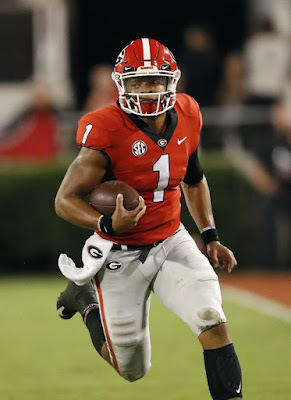 Due to the fact that centers and guards aren't great pass blockers he easily gets in the backfield. Linebacker Joey Porter is declining but is still dangerous while the addition of Stewart Bradley will help. Patrick Peterson was drafted to give the team a new look at cornerback. The Rams are for sure on the rise after a strong 2010 season. Sam Bradford was better than the Rams could have expected going in his rookie year. He has sweet accuracy and has the smarts to continue improving. 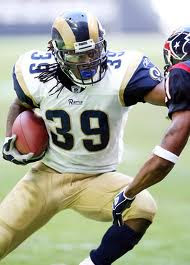 Steven Jackson takes a lot of pressure off Bradford. He's still one of the best backs in the league thanks to sure speed and good power. Danny Amendola had a surprisingly strong year at wide out. Donnie Avery, Mardy Gilyard, rookie Austin Pettis and new Mike Sims-Walker will help Bradford a lot. Like most of the team the Rams offensive line is young headed by Roger Saffold and Jason Smith. The defensive line is strong with end Chris Long, Justin Bannan and John Henderson. Henderson's best days are behind him but he'll still stuff up running lanes. James Laurinaitis is underrated and will make plays. Ben Leber was added to make plays and coach the young players on the squad. The secondary is definitely weak. I consider San Francisco a definite mystery. After a strong 2009 year many thought they would win the NFC West but the 49ers struggled to a very bad season. Alex Smith was resigned this year but the thought was clear- this was his last chance. Colin Kaepernick was drafted and he will likely get snaps. Luckily the 49ers still have back Frank Gore and powerful Anthony Dixon. Michael Crabtree has excelled at wide out during his NFL career. He has good speed and won't be double-teamed anymore thanks to the signing of Braylon Edwards. Vernon Davis has had effective seasons but he isn't very flashy. Ted Ginn struggled in Miami and wasn't amazing in his first year with San Francisco but he may be an option. Young tackles Joe Staley, Anthony Davis and guard Mike Iupati head the O-Line. The defensive line doesn't have a true end but Justin Smith is somewhat of an end. 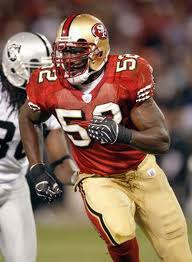 Linebacker Patrick Willis is dangerous in the middle and Aldon Smith makes plays. The secondary is led by Donte Whitner but it is still very bad. Sure the Seahawks made the playoffs but they lost their franchise QB in Matt Hasselback and they have a weak defensive line. 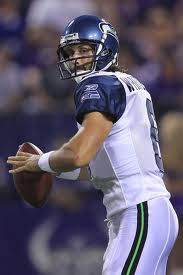 The Seahawks are young and inexperienced at the quarterback position now as Tarvaris Jackson and Charlie Whitehurst compete for the job. Neither really has an edge here. Sidney Rice was brought in and Seattle thinks he'll be great with Jackson but they were never great with each other. Golden Tate and tight end John Carlson are the two other top options. The offensive line is also really young with tackle Russell Okung and John Moffitt. Robert Gallery is an electric guard brought in from Oakland. The defensive line isn't strong what so ever. The Seahawks have no indication where the pressure will come from. Linebacker Aaron Curry has had a great career. Lofa Tatupa is one of the better 'backers when healthy which is becoming rare. 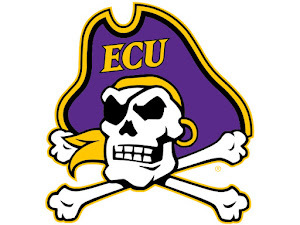 The secondary is improving but still isn't elite. Marcus Trufant is aging but is still effective while Earl Thomas keeps improving.